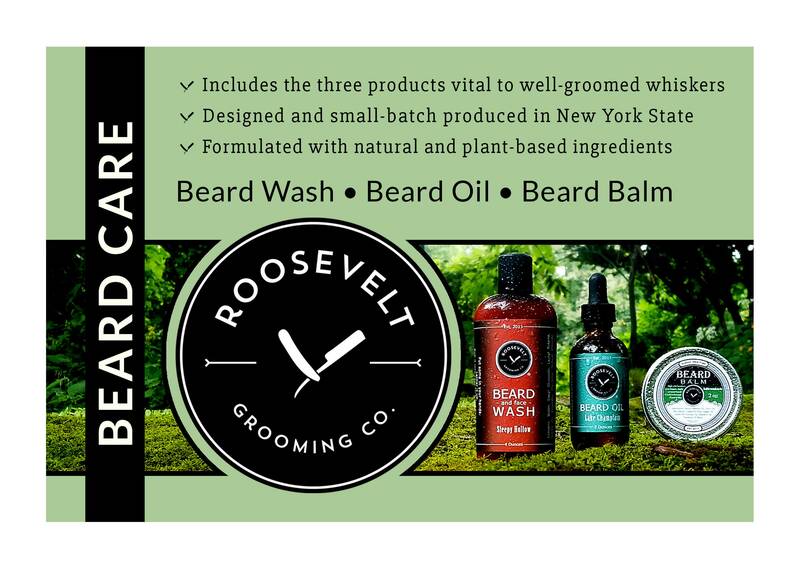 A complete beard care kit including all three vital products for an amazing beard. 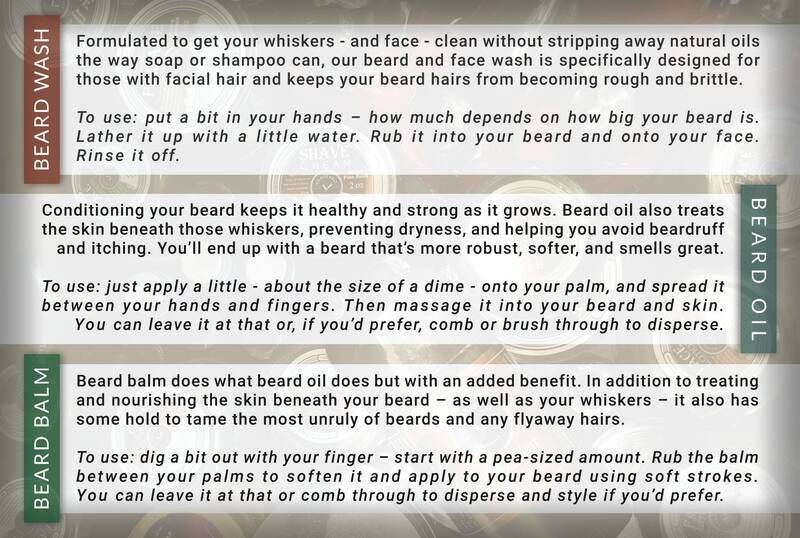 Included in this gift box is our BEARD & FACE WASH, BEARD OIL AND BEARD BALM, as well as a pamphlet - text in photos - describing each item and its use and purpose (and ingredients...as always). Everything is packaged in a high-quality gift box. 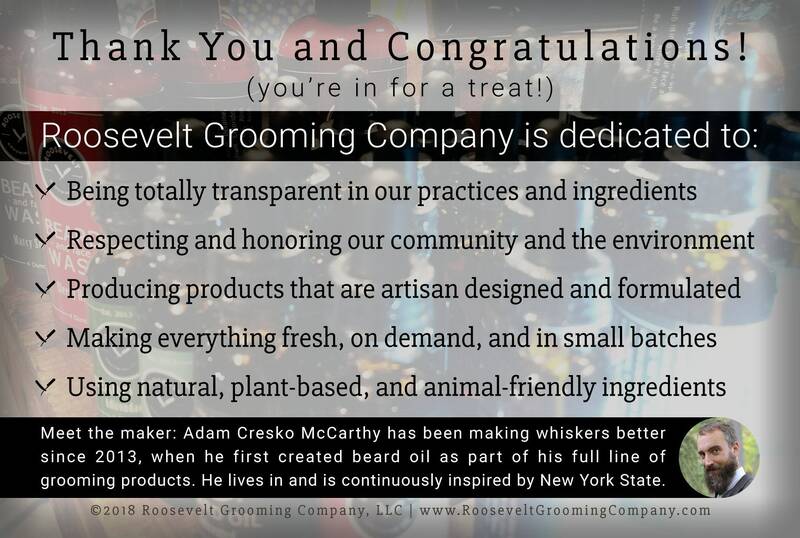 You can choose any of our twelve scents, as well as unscented. Feel free to send a note with your order if you want to do a little mixing and matching, we don't mind! This is a perfect gift for anyone! Especially that guy you know who's impossible to buy for. Or yourself. 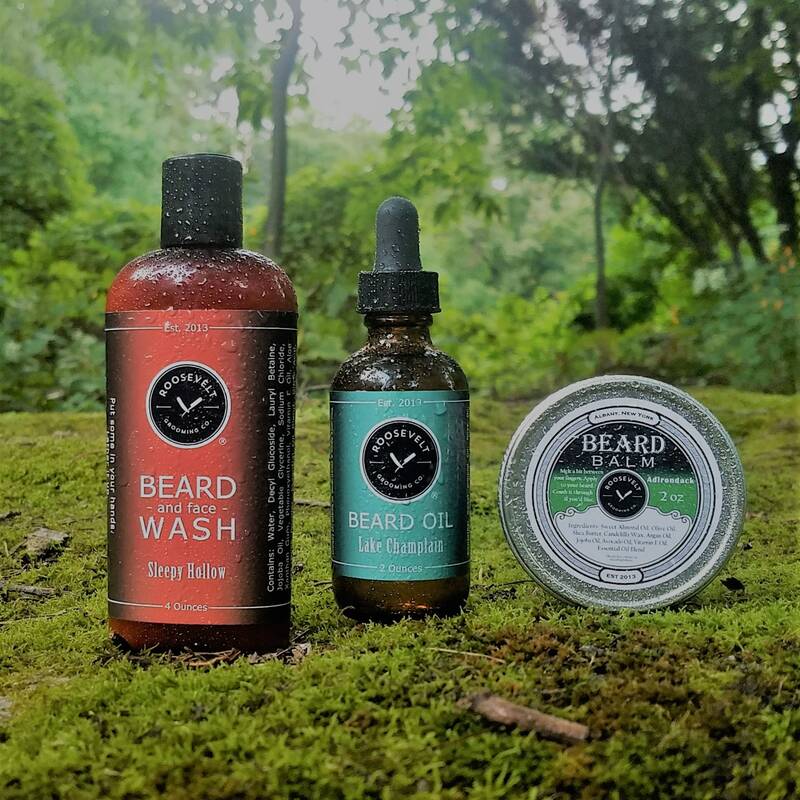 Great communication, fast shipping, exceptional products!